Built in 1845, Hôtel Manoir de l’Esplanade has been continuously renovated to ensure that its amenities and security standards meet modern-day requirements while still preserving its original architectural style and character. 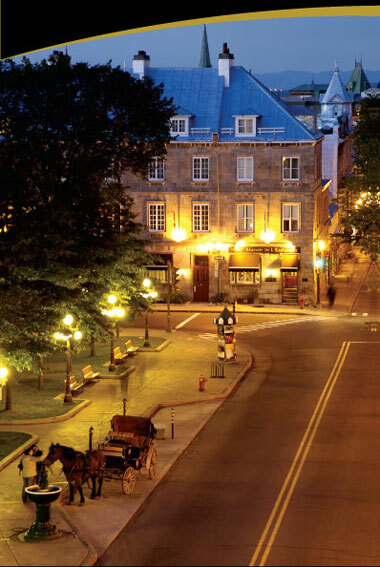 Located in front of the National Assembly and Saint-Louis Gate, Hôtel Manoir de l’Esplanade is only a few minutes walk from Château Frontenac, Le Théâtre Capitole, Palais Montcalm, The Fine Arts National Museum, the Battlefields Park, etc. We offer both high-speed and wireless Internet access free of charge in all guest rooms. Only five minutes walking distance from the Convention Centre, Hôtel Manoir de l’Esplanade is ideally located for business people and conventioneers. Healthy, multi-choice, buffet-style continental breakfast which is served in the breakfast room between 7:30 a.m. and 10:00 a.m.
Photocopying and printing services are provided for a small fee. Easy-access parking near the hotel is available at a reasonable cost.